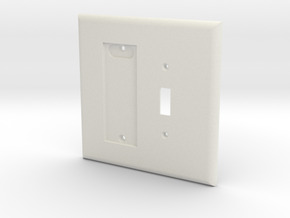 For everyone serching for a perfect fit Wall plate in the US for your Philips HUE Dimmer Switch Here you go. 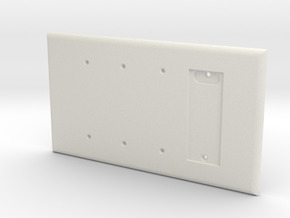 Remove your standard switch plate and switch, tie the switch wires together, transfer the magnets to the new plate and just use the same screws to mount this plate to the wall. 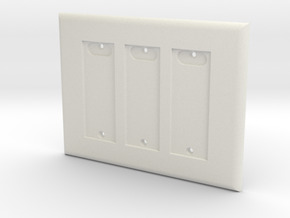 This is a medium oversized plate so it will cover any blemishes under your current wall plate and it lets you have the HUE dimmer switch as your main switch with a built in look. 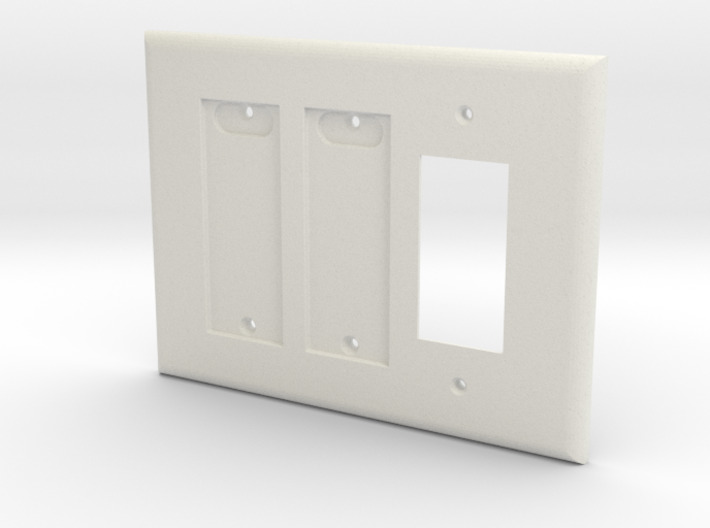 This plate is for a 3 gang wall box, you can replace two toggle or decora with the Dimmer and leave the other decora functioning. In some cases you will need to use a washer or two to space the toggle switch out to be flush with the face of the plate. 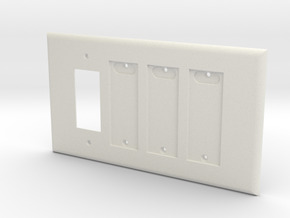 This is due to the thickness needed on the plate for the Dimmer remote.Also these plates are not reversible or flippable so pay attention to the order of the switches. As with all switch plates, never overtighten.